We sent a quotation in for the cleaning contract at the Bell Inn Broad Heath unfortunately we were unsuccessful the first time however after 3/4 weeks using another competitor we were called in to take over the cleaning and now clean the premises 5 days a week, with the customer being extremely happy with our work, the hours are early therefore we, as a Company have to be key holders, this is not an issue as ALL our staff are DBS checked. We were asked to cover just for one Sunday for three hours at short notice due to holidays / sick leave, due to the standard of work in just three hours we were asked to quote for a regularly weekly clean, which we now complete every Saturday. We attended this very busy Golf Club 12 months ago, however we were called back in to re tweek our quote as the hours needed were to be increased and we were successful, we are now cleaning 7 days a week meaning a total of 31 hours a week, since starting this contract the customer has been so pleased with our standards, we have been asked to cover extra hours over the summer period. We were asked to quote for cleaning the contractors flat , this was done and now we clean on a weekly basis. Through our google campaign we were called in to Taurus in Worcester, after the site visit by Paula our Operations manager, we were successful in being awarded the cleaning contract to carry out general cleaning of the building on a weekly basis. Arrow Communication moved in to their new premises in Blackpole Worcester and required daily office cleans, we were successful with our quotation and started immediately, since commencement of cleaning 5 days a week we are now supplying janitorial products, sanitary services, internal and external window cleaning at very competitive prices. "If you are looking for a good quality service, we would recommend Starlight Cleaning Services Worcester to everyone. We employ Starlight for our cleaning and janitorial services." "They provide us with a highly efficient and professional service, they are always friendly and willing to help." "We are very happy with them." We were contacted by Horsebridge due to that fact they were disappointed with their current contractor, once the contract was awarded we cleaned extra the first week free of charge to get the premises up to our standards, once those standards were met it meant it made it easier for us to maintain those standards and now clean 5 days a week. As previously mentioned we sub contract to other contractors who can not fill the posts themselves, Laura Ashley is one of those, this site in particular is covered every day 5 days a week, due to our commitment this runs extremely smoothly and therefore it one less site the contractor has to worry about. We were asked to arrange a site visit to clean the Salvation Army in Worcester, we gave the customer the option for a mid week or weekend clean ,they opted for the weekend clean and we are now cleaning every Saturday for 2.5 hours, no job is too small and what ever size we treat it with the same respect as our biggest. Starlight Contract Cleaners have secured the cleaning contract at Altaras International Worcester following yet another recommendation, to start, we were asked to clean two days a week for two hours per day in the offices , toilets, canteen etc, however due to the professionalism of the work we carried out we were then offered to extend this to clean the shop floor at an extra 4 and half hours per day this was to keep all walkways and shop floor clear and clean at all times. 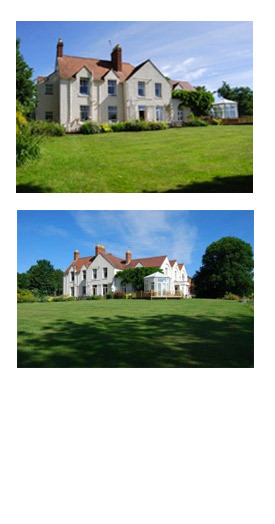 "Starlight cleaning have provided cleaning services 7 days a week, 52 weeks a year to the highest standards. The level of detail professionalism and commitment to the job is fantastic. I would recommend starlight as a company to use as there is a true family feeling that comes with them. A real caring attitude for each other and the job has helped to build an honest and trusting relationship between Paula, the cleaning team and I. I would never look anywhere else now"
Starlight Cleaning have recently been awarded the cleaning contract at a Care Home in Worcester. The Care Home had in the past employed all of the cleaning staff directly which came with its own problems when staff were absent or on annual leave. Starlight were asked to provide a quote based on cleaning the Care Home 4 days per week with the existing staff maintaining the the cleaning for the remaining 3 days per week. Due to the experience of the Management within the company we were also asked to manage and monitor the existing staff as part of the contractual agreement. A very careful specification was designed with the main emphasis being on minimal disruption to the residents that were at the Care Home. We as a specialist company were asked to complete the detailed cleaning during our hours with the in house cleaning staff performing the maintenance clean on the days that we were not there. While cleaning in the Care Home environment we are fully aware of what is required, we believe that consistency is key for both the residents and to maintain the cleaning standards. Starlight Contract Cleaning were contacted to provide an on site survey of the customer premises. The site operates 24 hours a day with many areas being high usage areas. Due to the nature of the clients business there are many areas that become heavily soiled with grease and dirt form the machinery. Due to this Starlight Cleaning advised the customer to receive cleaning to certain parts of the building twice daily this including the factory toilets, canteen area. Once the specification had been designed and the quotation sent the customer was quickly contacting us to authorise us the Daily Cleaning Contract at their premises. Since cleaning the site Starlight Cleaning have increased the standards across the whole site. Prior to Starlight taking over the cleaning at this manufacturing site the company used to employ all their cleaning staff direct, this as mentioned by the client came with its own problems including sickness and holiday cover. By choosing Starlight Contract Cleaning to complete your on site cleaning we take all the hassle away allowing you to get on with your day to day job role. If you feel that we could help you then please contact one of our team today by simply requesting a call back today. Starlight Industrial Cleaning has a new home! We have a new exciting website for the Industrial and Commerical side of the business. For all of your Industrial Cleaning enquiries, please visit here! Sometimes the best form of marketing is a happy customer, they will tell others in their sector of a good service that has saved them money. 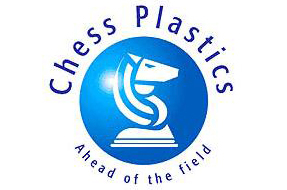 As our customer base grows people are passing our name on for carrying out good quality work. It was through a referral from a very happy customer that we gained a new contract for The Swan In Broadway pub, within 48 hours of the landlord first contacting our area sales manager the contract was signed. 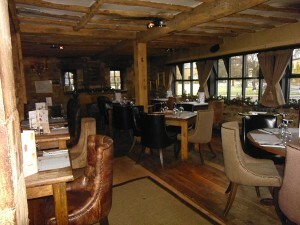 Starlight Cleaning will have its staff on site 7 days a week to keep up with the demands of this busy country pub. We cover the cleaning of all areas of the premises including restaurant, bar and toilet areas. It is important that front of house areas are kept clean and in tip top condition, as no one wants to eat from somewhere that appears dirty. Our staff understand this and our managers are always available for clients to contact ensuring that only the highest cleaning standards are achieved. As we already have a good client base within the area we were able to offer unbeatable value for an unbeatable level of service. If you would like to enquire about our contract cleaning services then please contact our contract cleaning manager on 0800 9788 505. The starlight contract cleaning team is now pleased to be able to offer sanitary services to new and existing customers throughout the Midlands. We have recently joined forces with a local family run sanitary services specialist, allowing us to maintain our company values and the high standards of service that our customers expect. We have already gained a vast amount of new business through our existing customer base for these new sanitary services. 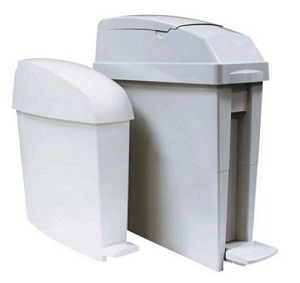 The sanitary services we offer include (but are not limited to); dosing units for urinals, sanitary bins and automated air fresheners. As we have infrastructure already in place for these services we are able to offer them at excellent prices, so feel free to give us a call on 0800 612 5768 to discuss your requirements. We will be happy to organise a free quotation. Starlight cleaning are pleased to announce the renewal of our cleaning contract at the Sainsbury’s depot in Worcester. This contract has been awarded due to the excellent service and standards of work carried out by our staff during our temporary contract with the company in September 2011. The site offers some unique challenges, including 24 hour opperation, coupled with a diversity of environments such as office space and warehouse space. The site requires cleaners on site all day every day to ensure that standards are maintained. If you require a contract cleaning company that will go the extra mile, then please contact our area manager for a no obligation quotation on 0800 9788 505. 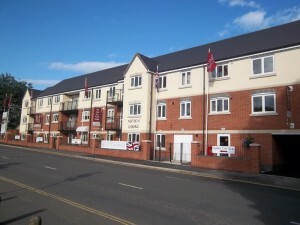 Mitton Lodge is a brand new retirement home complex that recently had a builders clean completed by our industrial cleaning team. After the great job done by the industrial team our contract cleaning services were called upon to take care of the daily cleaning required in some of the communal areas within the site. The site has many communal areas that are accessed by staff, residents, and visitors on a regular basis, ensuring our staff will be kept busy. If you require a contract cleaning company that can offer flexibility (and the occasional industrial clean) then call our area manager on 0800 9788 505. Double Take Software is our latest Contract cleaning client. Starting at the start of this month with Double Take Software the Starlight Contract Cleaning team have started a new contract for one person four days a week. Like any office space it doesn’t take long for there to be a build up of Paper trimmings and for the carpets to get dirty. Our contract cleaners will focus on making sure that the office is a clean and pleasant space fit for work. Double Take Software has also taken advantage of another service that starlight which is automatic air freshener rental. This is a service that we offer where we will come and make sure that all of the air fresheners are topped up and in full working order on a regular basis. Double Take Software makes up our third contract for the Triangle industrial park. If you require a reliable Contract Cleaner to carry out cleaning duties at your office site then please contact us today on 0800 9788 505 for a free quotation. Starlight Cleaning have recently gained a Cleaning Contract at a large supermarket distribution centre in the Worcestershire area. We received an inquiry on Friday and started work the following day. The contract is for one cleaner seven days a week. As expected with a Supermarket distribution centre this is a large site covering different areas including, canteens, security huts, offices and toilets. The starlight contract cleaning team are very flexible and can cater to all your cleaning requirements. To help the client get the best results possible Starlight Cleaning will develop a methodical plan that is best suited to your specific needs. If you require a contract cleaner that is reliable and thorough then call our contract cleaning manager on 0800 9788 505. With Worcestershire receiving some of the worst snow and ice that the area has had in a long time this December, the weather certainly presented some challenges. We are glad to report however that even with the adverse weather conditions we still managed to get 99% of our staff on site as scheduled every day. With only two occasions where staff could not make it to site, this however was not a problem as the sites that they were due to perform office cleans at had not opened due to the snow preventing staff from getting in. We still ensured the time was made up once the snow had cleared to ensure the clients were not out of pocket and that the cleaning standards did not fall. We have found that it is especially important to ensure that cleaning is kept up with especially when there is snow and ice as grit used to clear snow gets trodden in and can ruin carpets and damage floors. Use the quick call box to the right or contact us page to get a free quotation for your contract cleaning requirements! Starlight Cleaning has been awarded the daily office cleaning contract at Prime Public Partnerships Limited in Worcester. After meeting with Prime Worcester and discussing their requirements, we were able to specify a Cleaning contract that suited Primes needs. We have taken the time to choose the right members of staff to perform the clean and are confident that Prime will appreciate our efforts and enjoy a clean and tidy workplace. 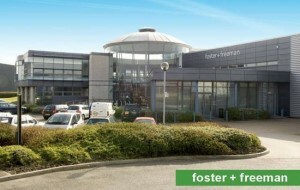 Starlight cleaning has been awarded the daily office cleaning contract at Foster and Freeman Ltd Evesham, Worcestershire. Starlight Cleaning were awarded the contract due to their excellent Daily Office Cleaning Services and their recognised commitment to their staff. The contract is due to begin early next month.